Growing up in Wisconsin I only knew three or four families that actually had wood burning fireplace or coming down to Texas. Everybody had a wood burning fireplace not knowing that. So as I'm driving around with this gentleman who worked for me Tell me about the chimney sweep the business. He's pointing. Every house has a chimney. If you draw a line from the East Coast the West Coast forward Dallas Texas is up to Tulsa. The climate is a seasonal climate where it does have we do have ... See More four seasons but we have a mild Four Seasons. So what kind of things need to be done on a regular basis when it comes to having a fireplace or having a chimney no matter where you live. You should your fireplace and chimney inspected once a year. Main thing is to have your fireplace be in a working order and safe chimney had to dirty chimneys cause issues in a home dirty chimney cause many issues. Number one is there an allergy. Number two is a dirty chimney who accumulate soot and over time it will turn into a dangerous hazard that can cause the chimney fire across the country. 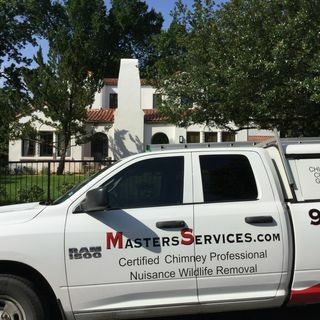 There are many chimney fires due the lack of proper maintenance yearly maintenance on fireplaces and chimney. No. Can I know that there's a product out there that I can burn in my fireplace that will miraculously clean out my chimney is that something that you would suggest people to do. It's actually not a bad issue I used to think that it wasn't but that said My blog is not a bad deal to burn every once in a while and your chimney is what it does is it crystallizes. Just like it does and has everything crystallizes soot and it all fall. The problem with that is you're not also seeing you're not also getting the result of a chimney inspection to see if there is any damage that occurred during or during before or after the process. The problem with the law those logs is that you burn you burn that log you clean your chimney. You don't think you need to have a professionally looked at which is exactly the problem with that log is people will have issues with the fireplaces. They say they knock UTM inspected. They're just having the logs burned. And with that burning that thing. Okay. My gym is clean there's nothing wrong with my chimney. Well there can obviously be many things wrong with the chimney that have occurred over time and the false sense of security with burning a log does not replace an annual chimney inspection. So you say annual chimneys inspections we do. Reminder emails and calls will leave for people to do that. With that most people that burn enough will do it.